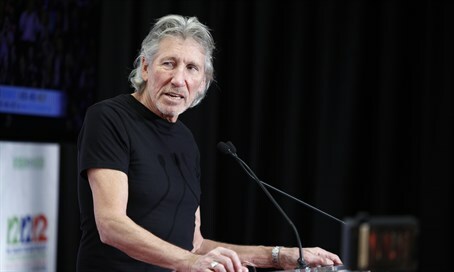 An Israeli internet troll who goes by the name "Dafni Gafni" has made headlines recently for posting a faux invitation to Israel on the Facebook page of infamous anti-Israel musician Roger Waters. In the mock invite to Waters, one of Israel's most vocal critics who is known for pressuring other artists to boycott the Jewish state, "Gafni" introduces herself as working for an Israeli production and events agency. "We love your music and especially sympathize with your stance for a peaceful world," she writes to the Pink Floyd frontman. "We would love hosting you for another concert here next year, for a 10 years anniversary to your previous concert." Angry responses were almost immediate as one surfer blasted Israel as "a terrorist," while another innocently noted his favorite Pink Floyd album was "The Wall." This prompted a fresh wave of outrage with one surfer using an anti-Semitic epithet to call out her "stupidity" as "Stairways to heaven [sic] is by Led Zeppelin." Another simply blasted her as "pure evil." Gafni's Facebook page, where she posts all her assorted trolls, has already amassed an impressive 65,000 followers. Other funny targets include Turkish President Recep Tayyip Erdogan, Apple and the BDS movement.